On Saturday, Oct. 13, Jetsetter alumni of all ages will come together once again to perform at Jupiter Studios during the Jetsetters Alumni Cabaret. The show choir alumni will be able to perform in the event, similar to an open mic night or simply come out to support the program. Carrie Chunat, the choir teacher at AHS, is looking forward to seeing her former students together again. 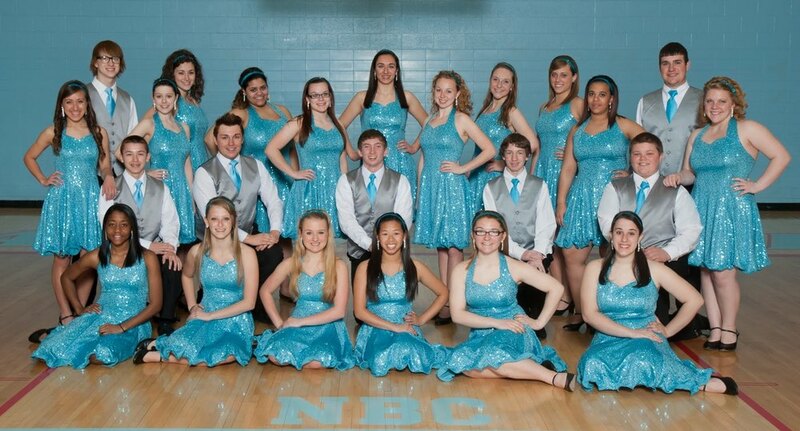 While the event will encourage the student, parents and Jetsetters fans from over the years to come together to celebrate their love of music, the cabaret will also act as a fundraiser for the show choir. Alumni can choose to perform for a $25 fee which includes an Alumni t-shirt, the cover charge and the ability to perform three songs throughout the night. For those who choose not to perform, there will be a $5 cover charge, all of which will be donated directly to the choir. All attendees will be able to purchase drinks, pizza and a salad bar from Jupiter Studios. While this is the very first alumni event, Chunat hopes to have more in future years. The goal is to have one music department alumni event each fall with the Jetsetter alumni event alternating years with the alumni band. This year was the perfect time to have the inaugural event since AHS will be hosting its first show choir competition on Jan. 12. The Jetsetters started competing during the 2012-2013 school year under the guidance of Chunat. While the competition aspect is a new part of the program, the Jetsetters date back to the 1980s. All Jetsetter alumni are encouraged to attend the cabaret. There is still time for alumni to register to perform by visiting this website: https://docs.google.com/forms/d/e/1FAIpQLScW-D9PVIfoqDOEHYGOXz1mndmatN_uRYZLQK9G9DORgz6s0w/viewform. The Jetsetter Alumni Cabaret is open to all Alumni, parents and fans who wish to continue their support of the Jetsetters. It will begin at 8 p.m.